It’s almost Christmas night when Barbie and Kelly will attend to a celebration, but Barbie’s little sister has no desire to attend or celebrate. She wants to spend Christmas at home. 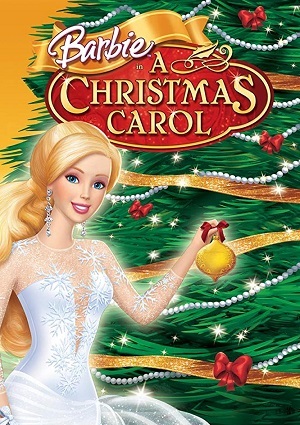 So Barbie takes a break to tell her the story of Eden Starling, a famous British singer who hated Christmas, a cold and tyrannical woman with the people that worked for her. Eden is very selfish and requires her employees to report to work Christmas Eve because in her view there’s nothing to celebrate and warns that those who don’t show up will be fired. No one can understand the attitude of the woman and saddened by the news, the employees decide they must work or lose their jobs. But that night something happens to house Eden, who is visited by the spirit of her aunt Marie, the woman who raised her and that made her the cold woman that she is. Aunt Marie takes a journey through Eden’s childhood and makes her remember why she hates Christmas. Another spirit must visit to Eden when Aunt Marie goes. A spirit that will show her present and future and that will taught her the true meaning of Christmas.